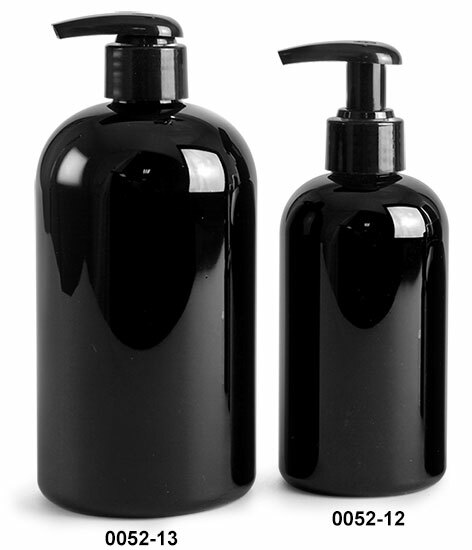 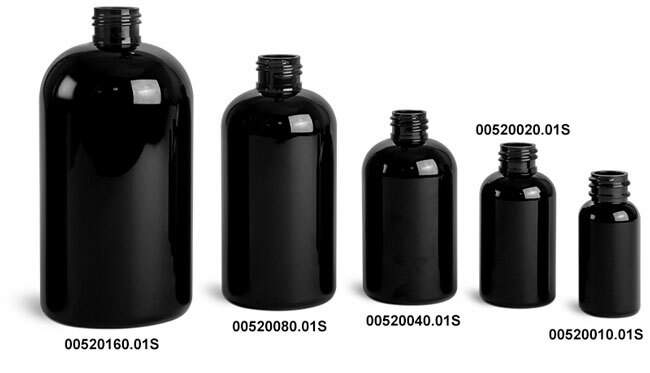 For a professional finish try black boston round bottles with matching black lotion pumps. 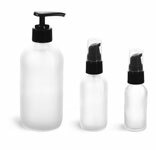 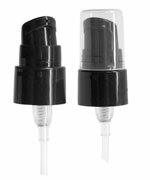 Available in 8 oz and 16 oz sizes, these plastic bottles feature pumps that dispense 2 cc of liquid per stroke through a metal-free fluid pathway. Package any number of high-viscosity products such as liquid soap, shampoo, hand creams, and more!